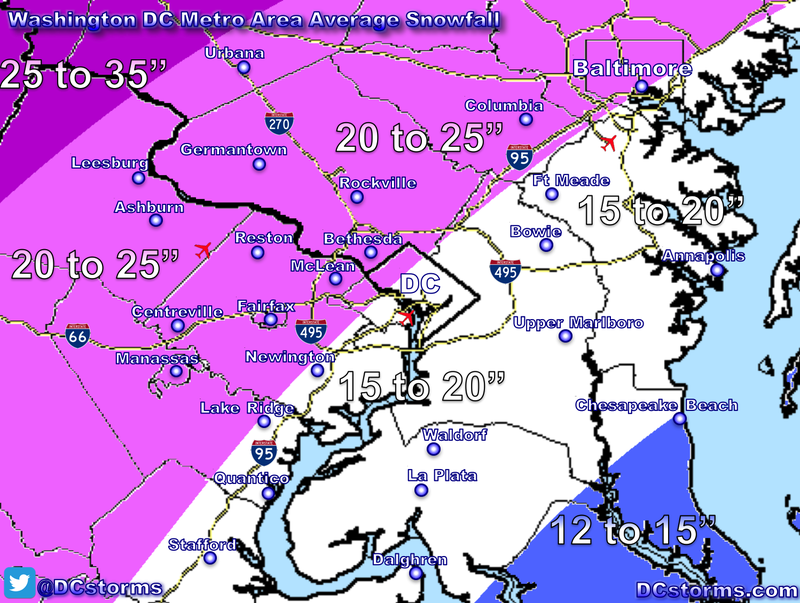 When will the Snow Drought end in the Washington DC Area? I am getting many comments from folks who are in the snow-removal business who are asking me when is it going to snow? 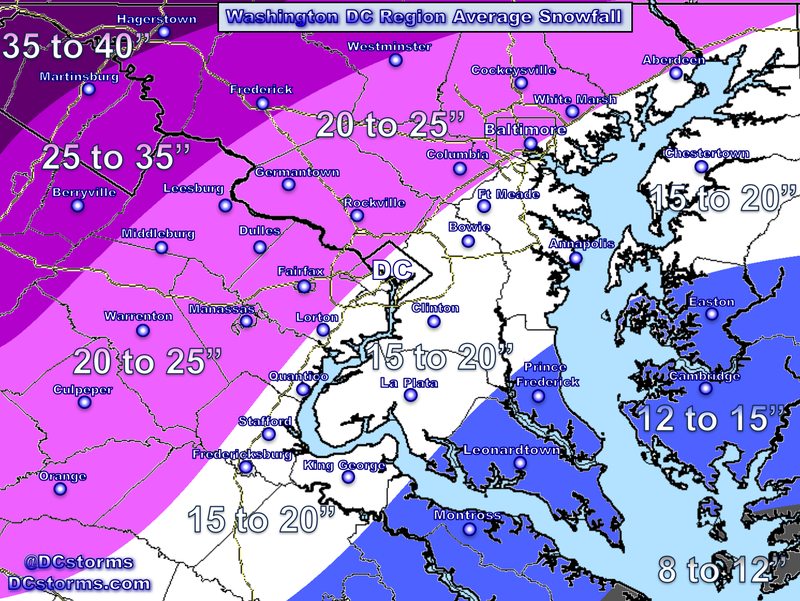 I am as frustrated as probably half of the Washington Area who would love to see a measurable, significant snowfall across our region. As you can see from the chart below, the frequency of crippling winter snow storms here in the Nation’s Capital during the last decade has on average occurred every five to six years. When I issued my Winter Forecast, I was very clear when I stated that given the fact that I have not seen two consecutive winters in a row with a crippling snow storm that I didn’t expect one this year. I based my forecast on the prospects of several smaller storms. Will we see several smaller storms before March is out? That’s the million dollar question that nobody can answer. Based on the analogs I chose, December was forecast to feature some very cold air, followed by a break in January, followed by a colder than average February and March. Of course this forecast is only as accurate as the analogs that I chose, so while we have time to “make up for some lost time”, a winter forecast is a long-range estimate and they can turn out to be inaccurate based on a lot of variables. What is going wrong with the pattern? Clearly we have had bitter cold periods with a lack of moisture or very moist conditions (today’s Nor’easter) with very marginal cold air in place (Pacific flow across the Nation). You can see the Nor’easter on the NC/VA coast with some decent blocking across eastern Canada. The problem with this storm system is the lack of arctic air as a strong west to east jet stream is allowing for mild Pacific air to push across much of the nation. In these instances the accumulating snow typically occurs across the highest elevations (as seen today in areas like Winchester, Hagerstown and the mountains who received some wet snow). The Good News: The pattern out west is forecast to change late this week (image below is from the latest GFS showing the upper level pattern on Friday morning). However, as you can see the trough across the east is not very amplified (deep) because of a lack of blocking over eastern Canada. So the broken record continues, where cold air moves in but the North Atlantic Oscillation is positive, meaning any storms that form in the eastern trough get scooted rapidly out to sea (not what you want if you are looking for a slow-moving Nor’easter). 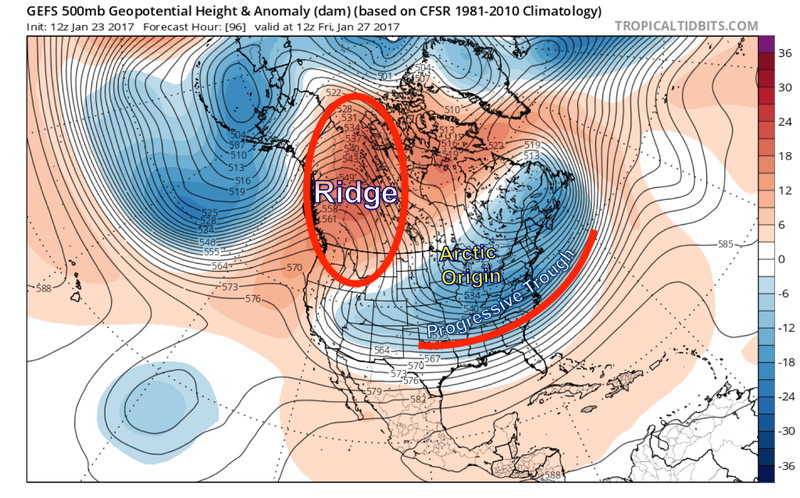 A strong ridge builds over the west with arctic air spilling deeper into the eastern third of the nation. The problem… a very progressive pattern continues across the east with a positive NAO killing our prospects for a big storm. 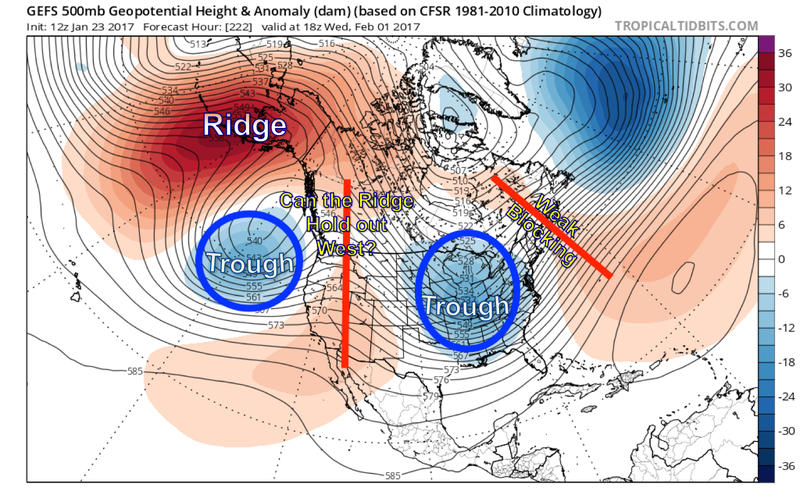 Notice: The ridge out west may begin to break down as the next trough tries to move in (more Pacific, mild flow). 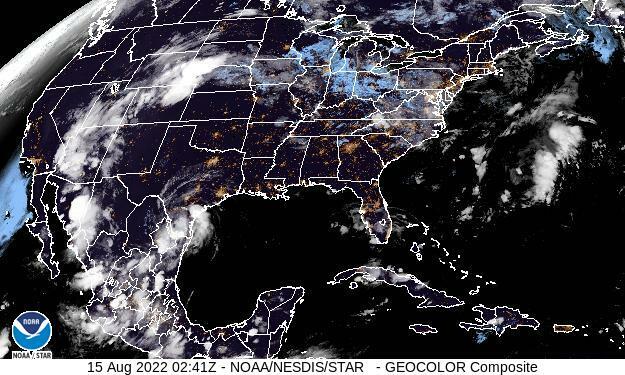 A trough does try to deepen (amplify) across the Tennessee Valley with weak blocking across eastern Canada. These models are not very accurate this far out and there are many variables. 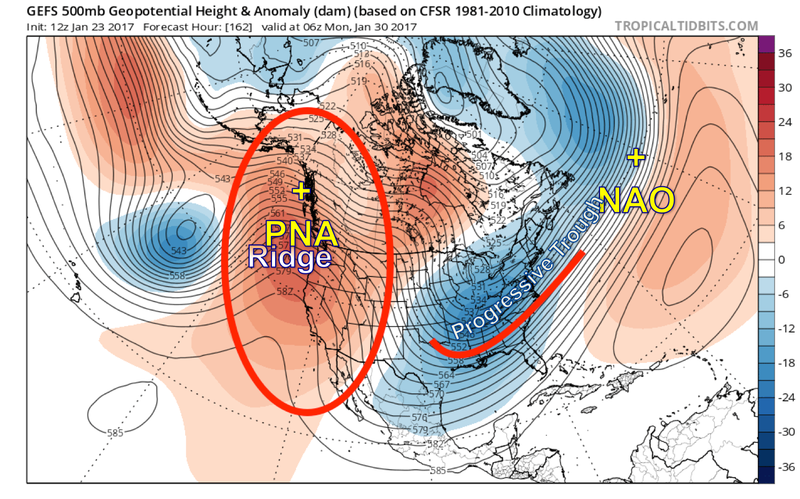 Will the ridge out west (positive PNA) hold stronger and could the NAO (blocking ridge over the North Atlantic) actually move into its negative phase during this time frame? Late this weekend (Sunday) through the middle portion of next week. Notice how in the latest runs of the GFS we see what looks like a deepening trough over the east with the potential for something trying to develop on the Mid-Atlantic coast (in the last run). 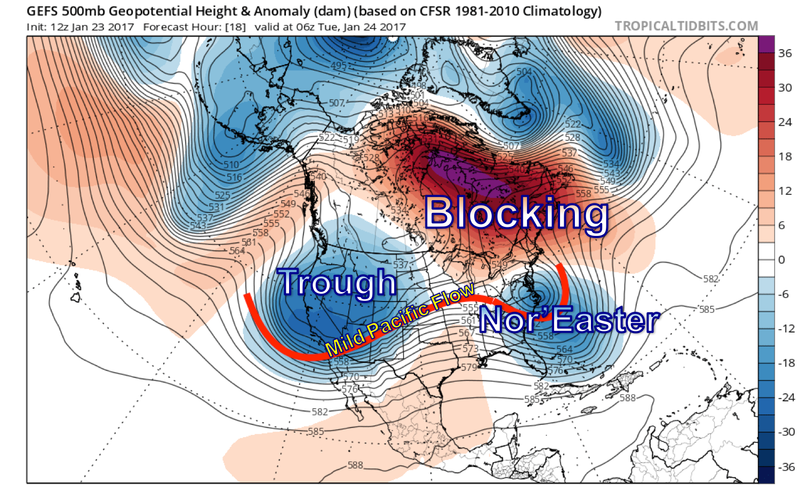 Unless we start to see some increasing blocking (negative NAO) over the North Atlantic, whatever may develop along the Mid-Atlantic coast could move too quickly out to sea preventing a significant (6″ or more) snow storm from impacting our area. I don’t trust the accuracy of models out past about 5 days. We will have to wait and see if we can amplify an eastern trough and hold onto a western ridge of high pressure. 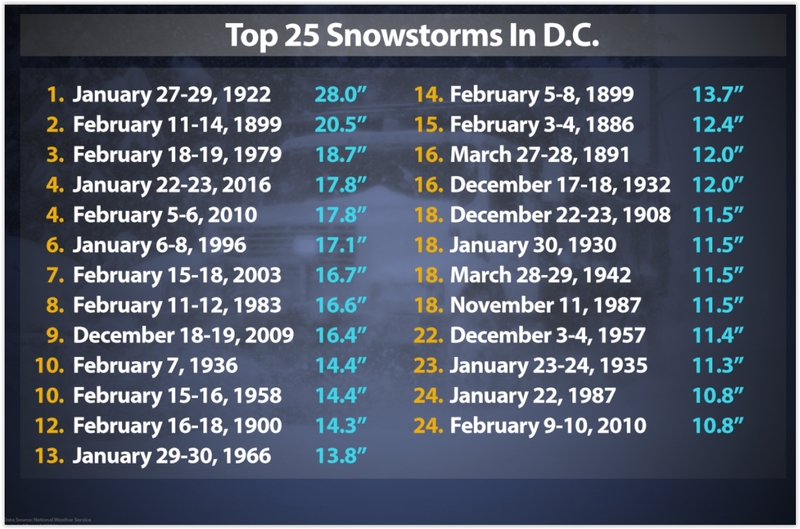 February is our snowiest month on average and March has provided some ferocious storms along the east coast (March Super Storm of 1993) and of course some of the heavy wet snowfalls that I have seen in March across the Washington Area (with nearly a foot). Stay Tuned for updates. I want snow just as badly as some of you. We have two potential clippers to watch, one Sunday night into Monday morning and a second clipper Monday into Tuesday. One such clipper may move through late Sunday. Have you seen that one? Clippers have in the past dropped 6″ or more if there is a jet streak overhead with a tight temperature gradient across our region. So yes, a clipper could deliver some snow, or like back in January we could see a coastal storm develop that moves fairly quickly and it skirts our area dropping a few inches. The upper level high latitude blocking (also known as teleconnections) may eventually line up before mid March. A clipper and one quick moving Nor’easter could deliver the Region a 10 to 20″ of snow for the entire season. There’s time left… and quite frankly storms that deliver typically show up when we least expect them. Looks like a situation where if we get amything it would be from several small clippers. It would amount to enough over time. Is that what you think?